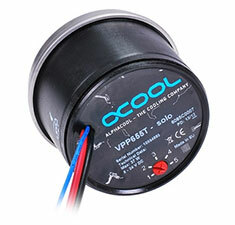 The Alphacool VPP655 Single Edition is a 12V pump that can simply be connected directly to the system's power supply. The pump is equipped with an electronically commutated spherical motor which offers many advantages such as a quieter and smoother run over its whole lifespan. Pump also includes a dial for simple speed adjustment to achieve your desired balance of performance and silent operation.